We’d love your help. 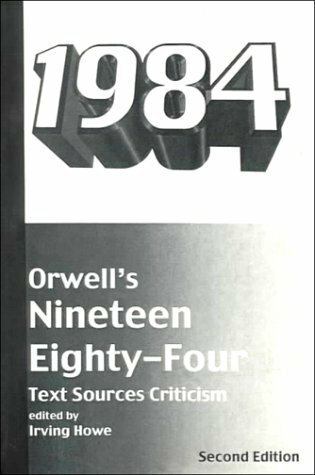 Let us know what’s wrong with this preview of Orwell's Nineteen Eighty-Four by George Orwell. To ask other readers questions about Orwell's Nineteen Eighty-Four, please sign up. From a few discussions I have read recently, it seems this book is seldom read these days. I suppose it makes sense given the title of the book. For folks my age and older, this was required reading. I believe I had to read this thrice for school. I think I read it at least once on my own. I recall very From a few discussions I have read recently, it seems this book is seldom read these days. I suppose it makes sense given the title of the book. For folks my age and older, this was required reading. I believe I had to read this thrice for school. I think I read it at least once on my own. This book was a very thought provoking story. Makes me wish that more people would read it and realize how a world like that could come into being.